Disclosure: I received a complementary sample in order to facilitate a review. No other compensation was received. Any and all thoughts are honest, my own and may vary from yours. If you are struggling to find that perfect gift this holiday season, Malt Shop Cookies has you covered. Malt Shop Cookies is the perfect gift for loved ones and even can provide some nostalgia. Malt Shop Cookies are able to provide a fine and sweet finishing touch that only malted milk can provide. 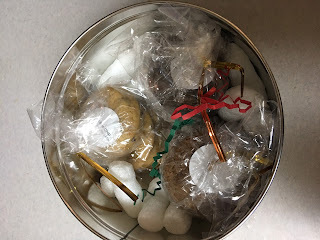 Malt Shop Cookies offers their cookies in a gift bag or gift tin perfect for gift giving. They even offer the ability to personalize with a picture and message from you to the recipient. 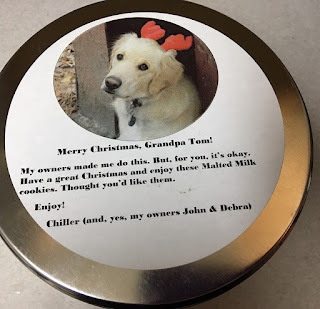 I was offered the chance to review a gift tin of cookies from Malt Shop Cookies. How could I say no? I mean, who doesn't love cookies?! My daughter and I are huge cookie lovers but have never had cookies before that were made with malted milk. 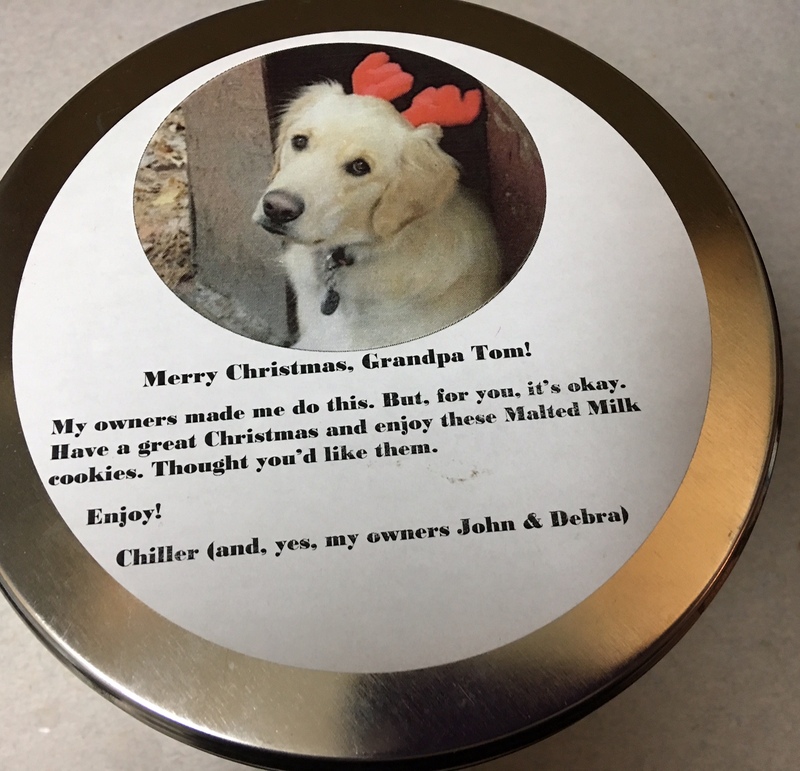 I received the Malted Milk Cookies - 18 Cookie Variety Pack in a Gift Tin. This include 6 cookies of each of their 3 flavors. The 3 flavors are chocolate chip, mocha chocolate and double chocolate. Upon arrival, the gift tin was packaged nicely in a box along with red and green packing strips. The tin itself was a nice silver tin. On the top is where your personalized picture and message would go but I received the non-personalized version. It included a picture and a standard Christmas message. This is an option for purchase if you don't feel you would like to personalize in order to send cookies as a gift. The cookies were packaged inside the tin in 3 sets of 6. Each set of 6 was a different flavor. Each set of cookies was labeled with the flavor as well. We could hardly wait to dive into these yummy cookies! The are soft cookies but don't crumble much when eaten. These arrived tasting so fresh like they were just baked. 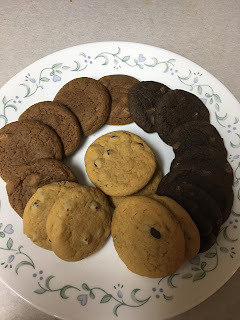 The rich flavor was consistent in each cookie and within each variety of cookie. The cookies were sweet but not sickening sweet and left behind a pleasant aftertaste. After the first cookie, you can certainly tell that there is something different about them as compared to other cookies. The difference is the malted milk being used. You can taste the difference and it also makes the cookies not get stale as quick. I was impressed by Malt Shop Cookies from start to finish. The packaging was super cute and can be personalized, the presentation of the cookies upon opening to the tin was fantastic and the cookies are definitely unique with flavor but not so unique that they are an acquired taste. I would definitely recommend these to anyone as a holiday gift or even for themselves.